There is something beautiful about a household where nobody is a stranger and everyone is treated like family. The Essenes and the Pharisees knew this, and a century before the time of Yeshua, founded surrogate family gatherings called havurot. The followers of Yeshua adopted this model as the foundation of the early Yeshua movement for the first three centuries of its existence. In Jewish terms, they were havurot: in Christian terms, house churches. It is time for us to rediscover and reclaim this ancient model. It is time to rejuvenate our relationships with each other and with God. Our project for doing this is called HaB’er (The Well). We compare these spiritually renewing households to wells, because wells were places where God’s people gathered, sustained their lives, solved disputes, and from which they went forth to face transformational future. We want to help you to dig wells of life-giving spiritual sustenance for the people you live with, and for others who you will invite to your table to drink deeply of the water of life supplied by Israel’s God, who is himself the fountain of living water who fills our wells (Jeremiah 2:13; 17:13). And Yeshua the Messiah is the Pitcher through whom that water comes to us in abundance. 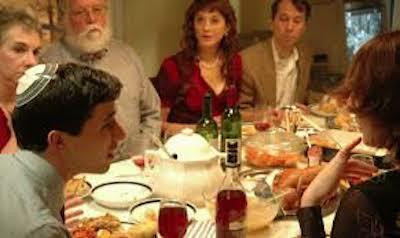 Shulchan Shelanu, our Shabbat Table Discussion Guide, is just one instrument designed to renew household spirituality. We invite you to subscribe to it, and to use it to kindle all kinds of exciting discussion with your household members at the Shabbat dinner table. Come join us in spiritual transformation, one household at a time. 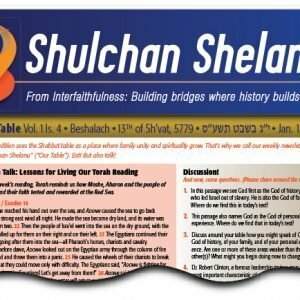 Subscribing to Shulchan Shelanu, is only $18 (eighteen dollars) a month, or $180 (one hundred eighty dollars) a year. If you wish to combine a donation with your subscription, the button will provide you with that option. And Thank You!